Mango has to be one of my favourite fruits and I’m lucky, here in the UK it’s available almost all year round. Though the best time to buy mangoes is between January and April. 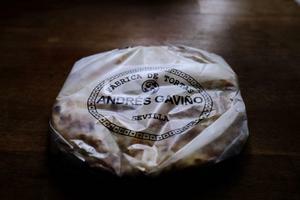 During this time there are some fabulous mangoes from Peru. The best mangoes come from Peru, Mexico, South Africa, Israel and India in my opinion. The best value are always the ones from Peru. Currently I’m paying about 80p for a large mango. That’s excellent value for money! The best place to get a mango is from your local market—not the supermarket. Here in Leicester we are lucky to have a lovely market in the town centre, with a huge selection of fruit and vegetables all week round. Mangoes are native to South Asia. Did you know that mangoes belonged to the cashew family? The most common mango is ‘Indian mango’ and it’s one of the most widely cultivated fruits in the tropics, there are over 400 varieties of mango. 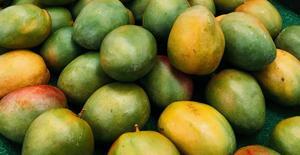 India is the largest producer of mangoes, producing about 18 million tonnes a year! The ripe fruit can vary in size in colour. A mango is ripe when it gives while pressing the skin gently, also the colour of the skin can change. If a mango is hard keep it in a warm place to ripen. You can store a ripe mango in the fridge for several days. The outside skin can be yellow, orange, red and green or a mix of them. There is a single flat pit in the middle, which contains a seed. The pit is surround by the orange/yellow coloured flesh. Mangoes are generally sweet when ripe but this can vary from variety to variety. You can get mangoes which are very stringy and in my experience it’s been from countries other than the one’s I’ve indicated above, but it can again also depend on the variety of mango. Eating a stringy mango is not fun and I usually just blend it. I think it’s better to eat a mango when it’s at room temperature. That’s when you get the best flavour. Try it and you’ll be surprised. A mango is not just for cutting and eating—you can do so much more with it, but first a quick lesson on how to cut a mango. 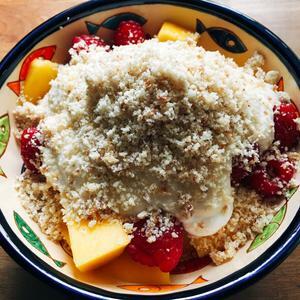 I see so many people cutting a mango wrong—including some famous chefs :)The worst offender had to be Pariot, using a spoon! It’s really easy to cut a mango. Video showing how I cut a mango. A knife—I use a tomato knife as it’s fairly safe and it bends nicely. (Disclaimer—I’m not saying it will not cut you. All knifes are dangerous if not handled correctly.) After one of my workshops, one of the participants bought a couple of them for her young children to use. She was happy to let them handle a knife under her supervision. A mango has a flat and vertical side. It’s the flat side you need to start with. 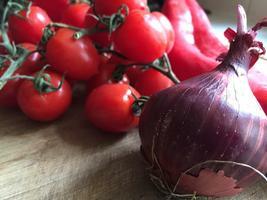 Lay the flat side down on the palm of your hand or on the chopping board. Cut along the flat side as close as the pit, flip the mango over and cut the other flat side. Cut the two halves into half length ways. Cut just above the skin of each quarter and then vertically down each quarter. Cut across each quarter small sections to the size you want—repeat for each piece. Cut around the pit the remaining two sides. Cut just above the skin and then slice each piece into sections as required. The skin still has mango flesh, that you can carefully remove from the skin, and the same goes for the pit. 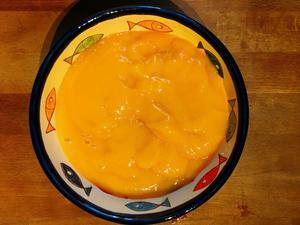 Mango and ginger pudding—goes with so many things, with a yummy potato curry and chapati it’s just heaven. Mango ice cream—just freeze the cut mango and then blend gently. 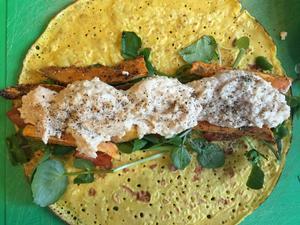 I’ve used it in a wrap with baked sweet potato chips, humus, watercress, sweet peppers. 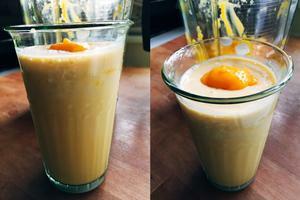 Mango and cantaloupe melon smoothie—seriously yummy! 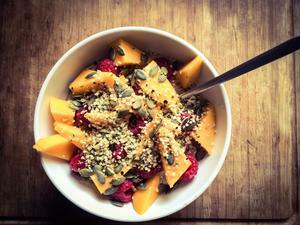 Slow raw porridge with mango and raspberry. 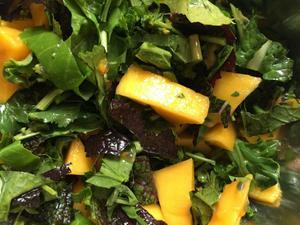 Green salad with mango and passion fruit. You can also make pickles from unripe/semi ripe mangoes—you usually use lime, salt and chilli to flavour the mango. 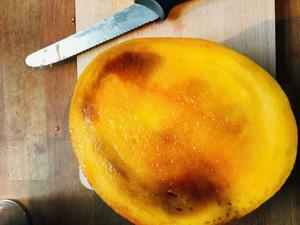 I hate wasting food, and sometimes you’ll get a bruised mango and you’ll think it’s bad—it’s not. You can still eat it or better still make a smoothie or pudding with it. For the mango and ginger pudding, just cut large pieces of mango (see video above), add a thumb of ginger—less if you don’t want a strong ginger flavour, add to a blender and blend for about 90 seconds. That was easy! Any kind of blender will do. 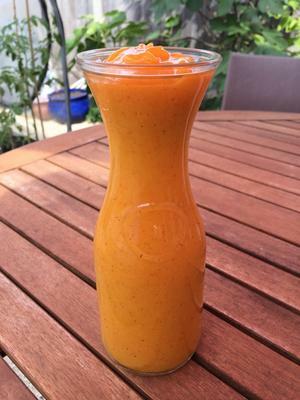 Blend a mango in a blender to get a nice smooth pulp. 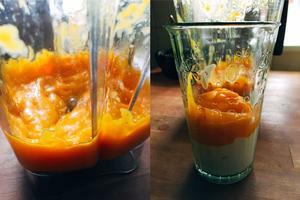 Add 4 tbsp of yogurt into a tall glass and then add 6-10 tbsp of blended mango pulp. 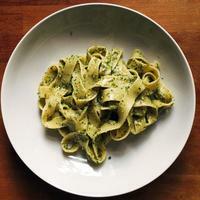 This depends on the mango flavour you’re wanting to create—experiment. For me I found 8 tbsp was good. Top the glass with plant based milk and mix well. Finish off with a dollop of mango pulp. I used soya yogurt and milk but you could use any plant based combination.